Experience: Apple certified on desktop and portable, help desk qualified. Have owned and used Macs since 1989. Hello my name is Dan. 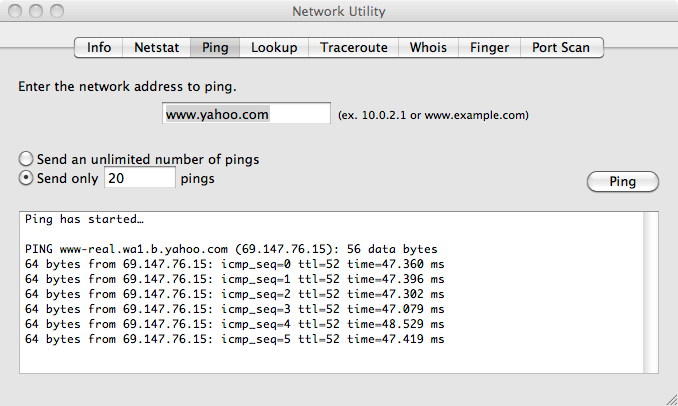 I am not sure what I can do as it sounds like the modem is bad or is not set up correctly. this will tell you how fast or slow it is in numbers that can be useful. You should get 35 to 50 ms for each ping. Below is a screen shot of mine and yours will look the same. Do that and let me know. That means that the speeds are indeed slow. I will look at the modem and see what can be done on your end to fix this and get back to you. It is 9:45 AM here when I sent this. 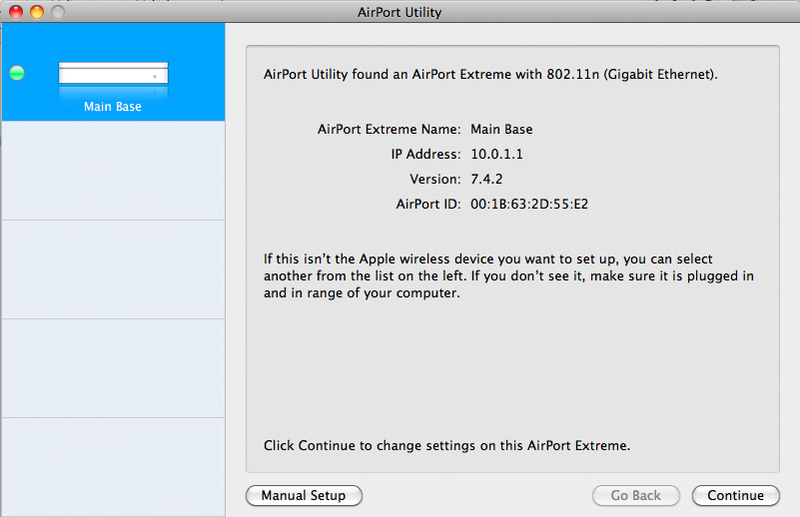 Open AirPort Utility found in Application/Utilities. Click on Manual Setup and then Internet along the top of the window, then the NAT button and see if yours looks like this. So tell me in the 8 days has anything changed? I think this is a problem with Snow Leopard, not exactly sure but seems to d/load fine now but if I open vuze then everything else is slow. What is vuze? I thought it was a typo. Vuse is the problem, it is sucking all available band width and leaving none for anything else. I suggest trashing that and using this if you need a bit torrent application. This one does not do what Vuse does. I have used this so I know what it does for your connection speeds and compatibility. I don't recommend any of the bit torrents because of corrupted and infected files. You do not know what you are getting. It never used to be a problem until I installed snow leopard, also do you mean bit torrent applications or downloading bit torrents can be corrupted or have infected files. I was have been told by lots of people in the computer industry that bit torrents are the way to go. You have a real chance of getting corrupt files at the least and a good chance of infected files that may not affect your machine but can be spread to Windows machines. Bit Torrents often have been hacked to include nasties. Of course a lot depends on what you are downloading, if it is software then that is the same as stuffing it under your shirt and walking out of the store. I don't know who you have been talking to but think about it, if you are say putting in a swimming pool you don't want one or two parts from one place that may or may not match the next piece or the base it sits on or the wall or the hardware. It may work out but why take the chance? Plus if it all comes in one box then there it is and you have recourse if something goes wrong. SL is a different animal for lots of things and there are still bugs to work out. hello. I don't have a comcast modem but have a Sagem Fast one. Hello. I came home to a flashing amber light on my Time Machine. 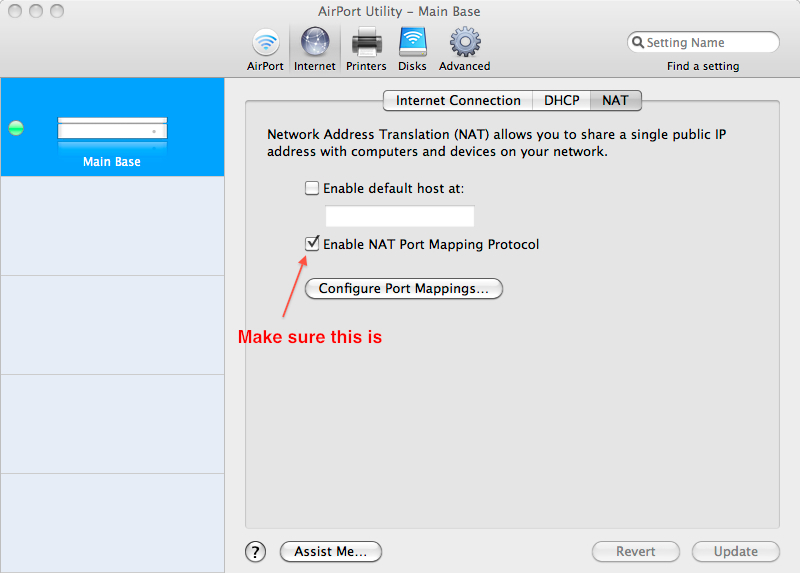 i have 2 networks for 2 macbooks running from 1 modem router airport.